Tired of continually signing your signature on multiple documents. 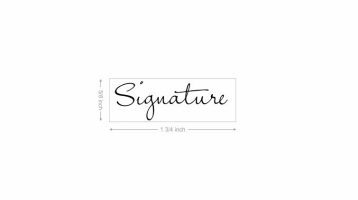 Create a high quality replica of your signature on one of our custom signature stamps. 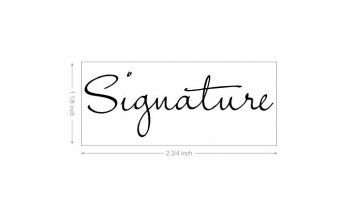 Your signature stamp can include additional lines of text as required. Signature stamps are available as a traditional rubber stamp, self-inking stamp or our premium quality pre-inked flash stamps. 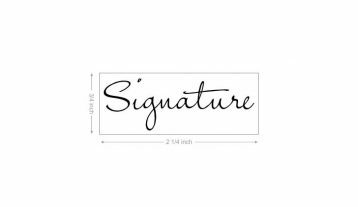 We provide a variety of signature stamp templates for you to choose from but if you don’t see the template you are looking for, need something different, or would like the stamp to be smaller or larger, request a proof / quote for your custom stamp.